In short, Yuzvendra Chahal and Kuldeep Yadav have shown that their genre of spin bowling is far more potent than finger spin. The point to ponder is: Are we witnessing the emergence of a new, dynamic spin partnership? 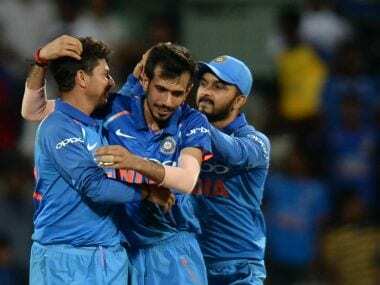 Yuzvendra Chahal and Kuldeep Yadav’s aggressive bowling on Sunday night did more than just propel India to a remarkable win; it solved a major issue dogging the team ever since ODI field restriction rules were altered in 2012. The Australians needed 164 runs for a win in 21 overs in the rain-truncated match. This was eminently gettable for two reasons: One, unlike T20 cricket, only 4 fielders would be permitted outside the circle for 80 per cent of the overs, thus making run gathering easier. And second, the availability of two new balls, one from each end ensured that the ball stayed hard and facilitated power hitting. That neither of the factors worked to the advantage of the Australians was a tribute to the wicket-taking ways of the wrist spinners, each unique in approach and execution. It is an accepted fact that when only four fielders are permitted outside the circle batsmen will go heavy on the bowling. 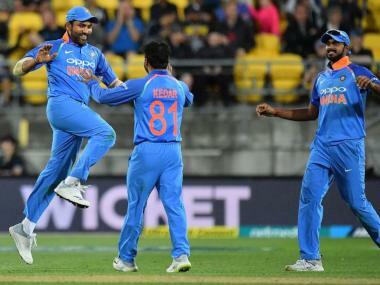 Unlike other major cricketing countries, spin is India’s forte and this rule was expected to hamper the Indian spinners, particularly during a phase of the innings when they were expected to bowl the maximum. And it did, as can be ascertained from finger spinners Ravichandran Ashwin and Ravindra Jadeja’s bowling performances in their last few one-day internationals. Ashwin has just 10 wickets at the cost of 56 runs per wicket in his last 10 ODI games while Jadeja’s eight wickets in the last 10 ODIs have come at 60 runs apiece. It is not that they are bad bowlers. On the contrary, both have bowled India to memorable victories in Test cricket and even have good T20 credentials to boast of. But the ODI format with its field restrictions and the use of two new balls, seemed to have stumped these two finger spinners. It is in this context that the effectiveness of wrist spinners Kuldeep and Yuzvendra comes as a whiff of fresh air. Though both have played a mere eight games apiece, they seem to be more potent in ODIs. Kuldeep has 13 wickets conceding 262 runs at a cost of 20 runs per wicket while Yuzvendra’s haul of 14 wickets come at a cost of 21 runs per wicket. Kuldeep’s left arm chinaman bowling is a revelation. He hardly drops the ball short and the Australians struggled to pick his variety of googly, top spin and chinaman. He varied his angles and trajectory and generally got the ball to grip and bounce every now and then. The extra revolutions on the ball imparted by wrist spin also aided in getting the sort of nip that made power hitting a chancy affair. 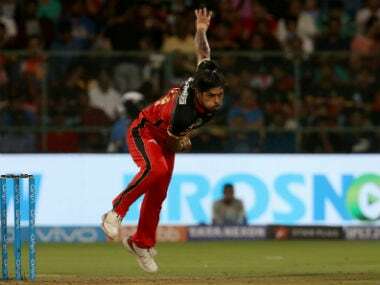 At the other end Yuzvendra, surely one of the most aggressive spinners in modern-day cricket, was just as perplexing. The leg spin was his stock ball. But the way he tossed it up, mixed it with googlies and varied line kept the batsmen unsettled. 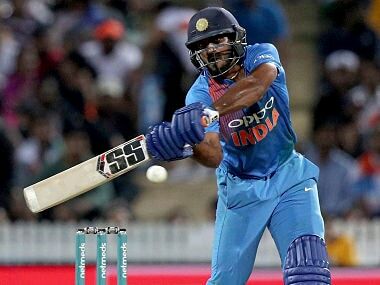 When they tried to charge at him, like Mathew Wade did, Yuzi struck a good partnership with wicket-keeper Mahendra Singh Dhoni to send the ball wide and terminated the innings with a smart stumping. The Yuzi-Kuldeep performance was heady alright. The Aussie batsmen, as was to be expected, were hoping to dominate the show during the powerplays. But Chahal and Yadav ensured that aggressive strokeplay was risky by inducing those false strokes. In fact it was a blood bath during those 13 overs in between the first and last four overs. 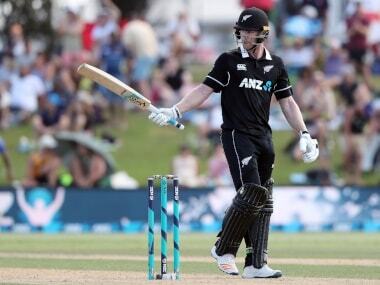 The duo, along with Hardik Pandya, manned the bowling during that challenging period and scalped six wickets for 94 runs to have the Aussies tottering at 109 for 7. Entrusted with the responsibility of bowling the fifth over (one bowler could bowl 5 as the 50-overs a side match was rain curtailed to 21 for the Australian reply), Yuzvendra responded with another wicket with the first ball of his fifth over to make it a memorable match. The five wickets he (3 for 30) and Kuldeep (2 for 33) shared knocked the stuffing out of the Aussies. It showed that their wrist spin would be a major factor to contend with in ODI cricket. Their aggressive wicket-taking ability has altered the scenario in the middle overs. Belligerent run-scoring will henceforth be fraught with risk. Australia’s batsmen will be under pressure to smash the bowling but at the same time keep their wickets intact against these young and fearless wrist spinners. In short, these two young wrist spinners have shown that their genre of spin bowling is far more potent than finger spin. The point to ponder is: Are we witnessing the emergence of a new, dynamic spin partnership?